Nearing The End Of The Newport Folk Festival Lineup Announcements? 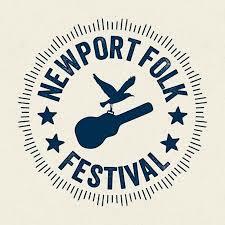 The past month of lineup announcements by the Newport Folk Festival has been nothing short of fabulous! Of course this is what I have come to expect but that does not lessen the impact of the addition of some favorite artists as well as ones I have never seen but want to see! It seems like we are nearing the end of the lineup announcements, but I believe there are still a few more to come. Stay tuned! Valerie June – Not only is she one of the most photogenic artists on the lineup this year, she is also one of the most enjoyable artists! Lukas Nelson and Promise of the Real – Just go see them! They are so good! The Sunday Groove with Preservation Hall Jazz Band – As many times as I have seen this band, I never tire of them. Amazing musicians, nice people, and so much fun to watch! Khruangbin – This band is completely unfamiliar to me so all I can say is go see them! Eric D. Johnson’s “Beneath The Sacred Mountain: A Cosmic American Revue” – I know absolutely nothing about this revue but it sounds fantastic! Bermuda Triangle – What a great name for a trio that includes the force-of-nature Brittany Howard (as well as Becca Mansari and Jesse Lafser! Margo Price – This modern traditional country artist thrilled the audience a few years ago when she performed “Me and Bobby McGee” with Kris Kristofferson, and I am over the moon that she will be back at NFF this year. Tuck & Patti – This duo has been thrilling crowds for many years but I have never seen them, so I am glad they will be at NFF! Jenny Lewis – This crowd favorite is returning to NFF! Cheech and Chong – Wow! This announcement was appropriately made on 4/20! I saw them at least 40 years ago and cannot wait to see them again. Nels Cline‘s Curtis Rogers Memorial Resonator Excursion – I have no idea what this will be, but I love Nels and I especially love a resonator, so I am excited for this set! Shakey Graves – He is one of those performers who seems to always be at NFF, whether he is an official performer or not. He always delivers a fine set! Glen Hansard – The only time I have seen this fine Irish musician was a few years ago at NFF and am thrilled that he will be back! Ben Harper and Charlie Musselwhite – This is going to be one amazing set! I have seen Charlie a number of times, but never Ben and have heard only great things about their collaboration. St. Vincent – I have seen this unusual artist a few times and am happy to hear she is making her début at NFF this year! Posted on May 5, 2018, in concert announcements, music, Uncategorized and tagged Ben HArper and Charlie Musselwhite, Bermuda Triangle, boston, Cheech and Chong, festival announcement, Glen Hansard, Jenny Lewis, Khruangbin, Lukas Nelson and Promise of the Real, Margo Price, music, Nels Cline, Newport Folk Festival, Newport RI, Preservation Hall Jass Band, Shakey Graves, St. Vincent, Toots and the Maytals, Tuck & Patti, Valerie June. Bookmark the permalink. Leave a comment.